No, you don’t need to redo your home decor for every season of the year. Here are tips to change your decor from a winter wonderland to a blooming spring. Since spring is all about flowers, plants and new life, so start adding these lush items to your winter decor. 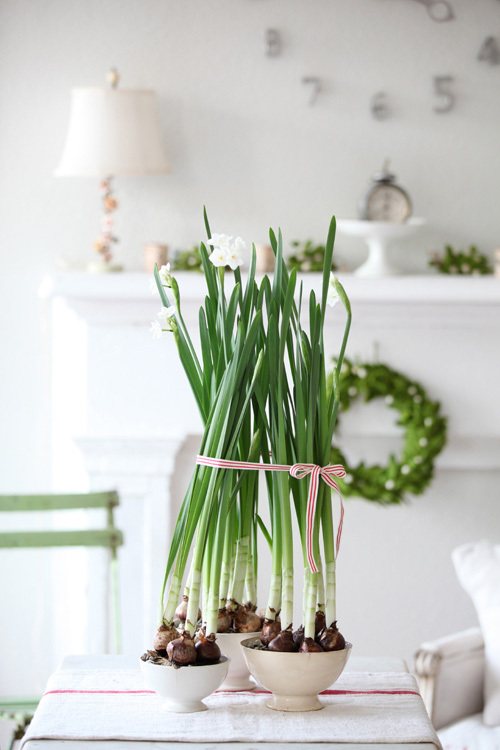 Pick up a fake plant or pick your own beautiful bouquet and decorate it with a seasonal item, such as a winter-hued ribbon that can be easily switched out with a spring pastel. Or choose a vase or pot you can replant for the new season. A white floral arrangement is a safe choice for any season of the year. We like this Smith & Hawken arrangement in wood that can be wrapped in fabric, paper or ribbon to match your decor (Target, $20). Typically, your Christmas tree comes down shortly after the winter season officially begins. So after you take down your Douglas fir, replace it with a new kind of tree. Whether it is a bunch of twigs, a few leafless branches or a metal decor piece, this can be a fun way to change out your seasonal decor. 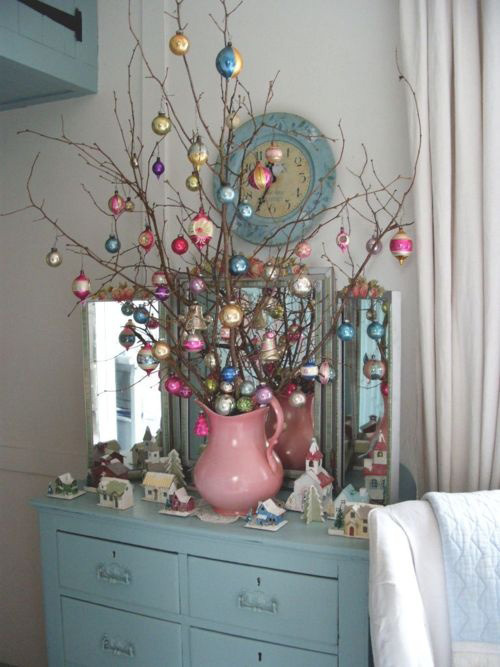 Hang bright-colored ornaments for your winter months and add eggs or shamrocks in the spring. A potted twig tree is a great addition for your home and any seasonal decor items you wish to deck it out with (Z Gallerie, $100). Silver and gold are staples of winter decorating, but they can be more than that if you choose. Add metallic-plated accents around your home with white candles, pinecones and other staples of winter in December, January and February, and switch them out with pastel-hued items once March makes its debut. 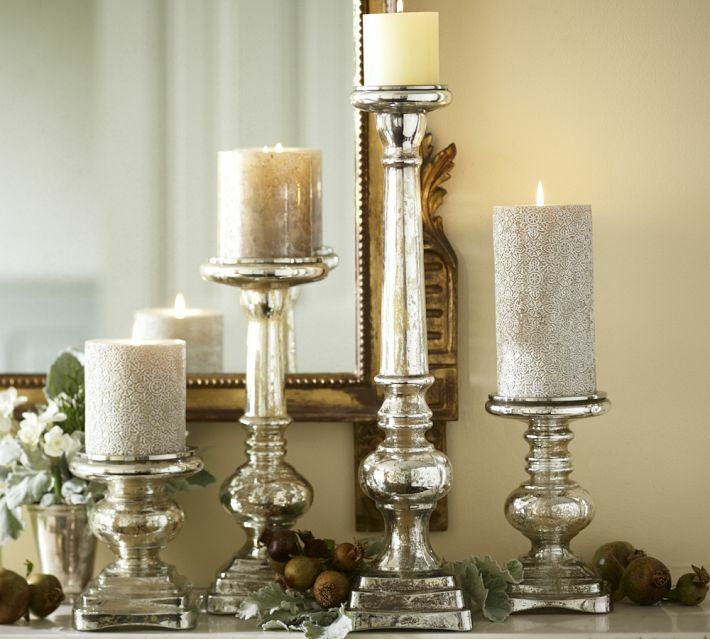 Pottery Barn offers an arrangement of antique mercury glass pillar holders that are great for seasonal decor (Pottery Barn, $20-$49). A lot of people believe that you need to change out every throw pillow for the change of every season, but this just isn’t the case. 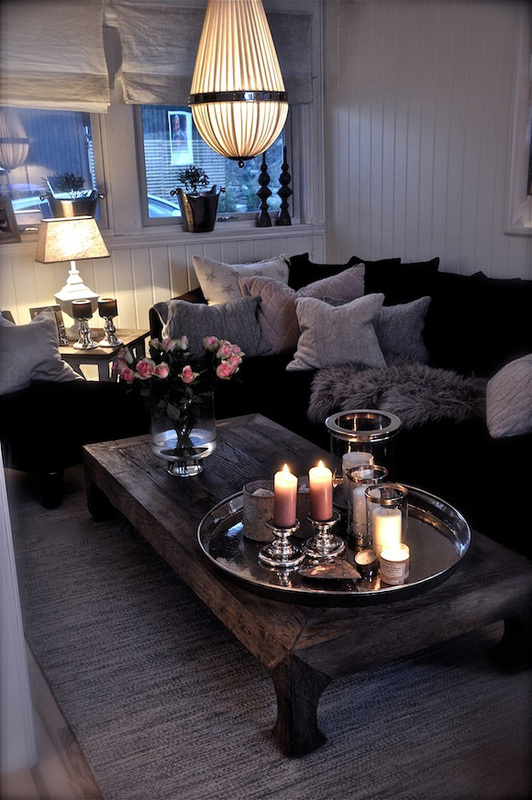 Choose three or four pillows that are permanent fixtures on your couch and exchange only two for every season. Go for neutral whites, beiges and grays that are easy to match with any hued or printed seasonal pillow. Textured pillows create a great look and feel without sacrificing style for each season. A few raised designs like this pebble dot pillow cover will be great backdrops for a few winter sweater pillows and fresh prints for spring (West Elm, $34).